5/8? 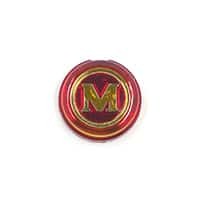 diameter grommet for the holes in the later Minis? rear valance. The wire to the rear fog and/or reverse light go through these holes. 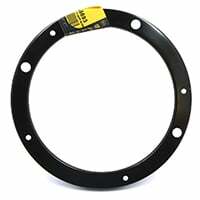 Proper 2" diameter grommet that fits around the main wiring harness where it passes through the parcel shelf. 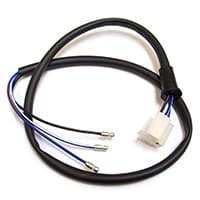 1-3/8" diameter grommet that fits around the main wiring harness where it passes through the parcel shelf. Flasher for hazard lights on some Mini models. Two (2) terminals. 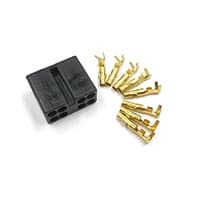 This plug and wiring connector kit facilitates repair of 1976-on hazard rocker switch with six (6) round pin connections. Sold each. 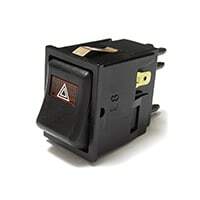 Rocker hazard switch with six round pin connectors. Fits 1976-2000 Minis. 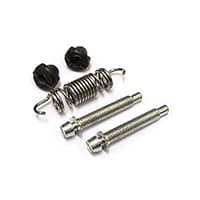 Headlamp adjuster screw kit includes two (2) adjuster screws, two (2) plastic nuts, and tension spring. 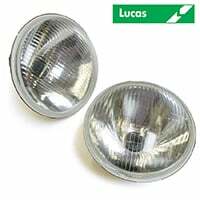 Pair of Lucas-branded headlights, with replaceable H4 Bulbs. High beam/low beam dip suitable for driving on the right side of the road. 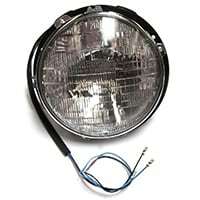 These are "Quadoptic" H4 halogen headlights with European pilot light. They have chip-resistant lenses that deliver a wide, flat beam to light up the edge of the road without blinding oncoming traffic. 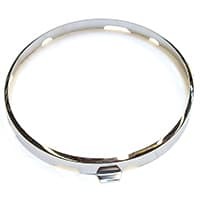 Chrome headlamp ring, includes retaining screw; no drain holes. 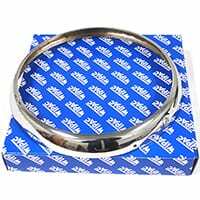 Good-quality aftermarket?. Premium chrome over stainless steel. 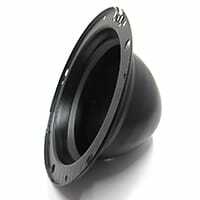 Has two drain holes in bottom; includes retaining screw. Made in the U.K. by Wipac; sold each. 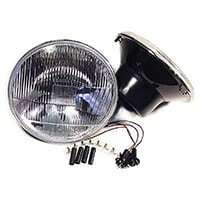 If you are replacing your headlight bucket, you likely want the metal bowl that supports the headlamp bulb itself. Sold individually. Original-style metal headlamp bucket; fits all except self-leveling type. Sold each. 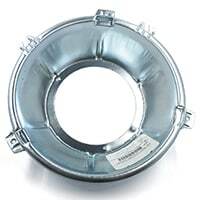 See S5400 for plastic rust-proof replacement bucket. 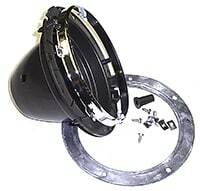 Plastic bucket includes chrome inner retaining ring, aim adjusting screws, inner rubber gasket and hardware. 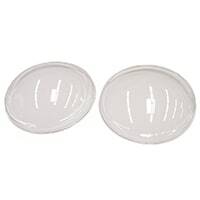 Fits 7" round lamps. 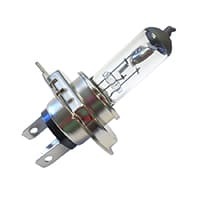 Replacement H4 Halogen bulb for Wipac Quadoptic headlamps. 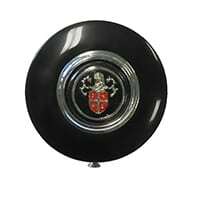 Pair of clear plastic covers to protect your headlights; fit underneath and are retained by the original bezel with no additional fasteners. 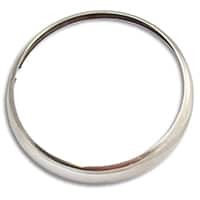 All new fenders come with this ring already installed, but if yours is rusted, it can be replaced separately. 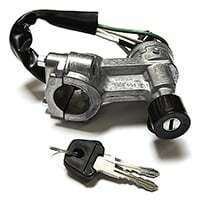 Wiring harness with plug to accept conventional 3-prong headlight plug. 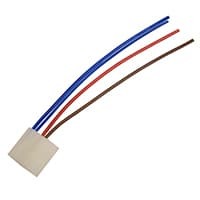 Correct color wires to plug into your wiring harness. 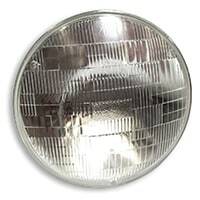 Chrome-plated inner rim that retains the headlamp bulb in the inner bucket. 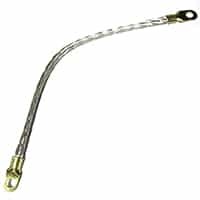 This plug and small harness facilitates repair of 1976-on headlamp switches with three (3) round pin connections. Sold each. 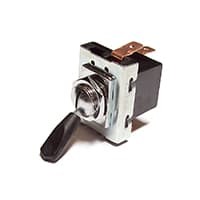 Original style bat handle two-position toggle switch for headlamps in Mk1 and Mk2 Minis. 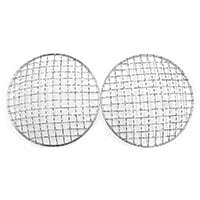 A pair of heavy-duty chrome plated wire mesh stone guards to give your Mini the Rally look while protecting your headlights. Set includes mounting hardware. Fits 7" headlight. Chrome, hex head screw for the license plate light used on Mk1 and Mk2 Minis. Fits 56790 lamps. 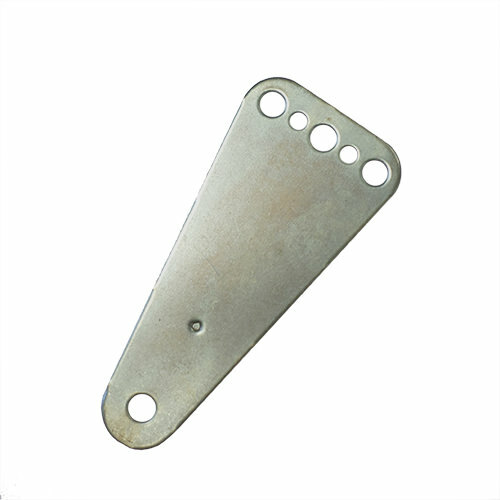 Reproduction of the straight horn bracket as used on the earlier Minis. Mounts to the two small studs on the front panel. Brass ring, fitted to the Mk1 steering column to complete the circuit to the horn push. 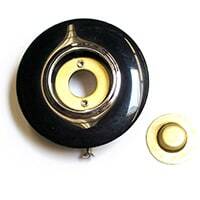 Complete reproduction horn push assembly with Austin logo, as us used on Mk1 and Mk2, 850, Austin Cooper, Austin Cooper S, and variants. Horn push assembly to fit original Mk1 Mini steering wheel. Supplied without center logo button. 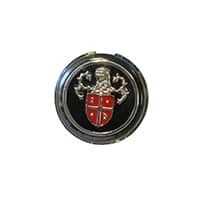 Reproduction Austin logo horn push button for the center of the Mk1 and Mk2 Mini horn push assembly. 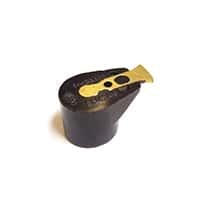 Used, reproduction Austin logo horn push button for the center of the Mk1 and Mk2 Mini horn push assembly. Morris logo horn push button for the center of the Mk1 and Mk2 Mini horn push assembly. Reproduction. 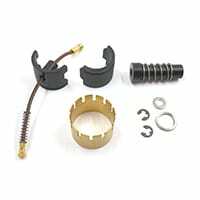 Complete horn push kit for the Mk1 steering column. 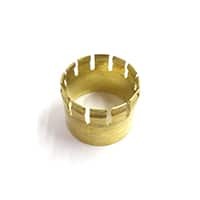 Kit includes brass ring with insulator, push assembly with spring, center wire, etc; fits all 1959-1967 Mk1 Minis including Van, Pickup, Moke, Riley Elf and Wolseley Hornet. 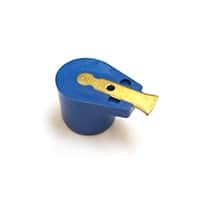 Two-terminal electric horn with high tone note. Lucas. Plastic construction. Two-terminal electric horn with low tone. Plastic construction. 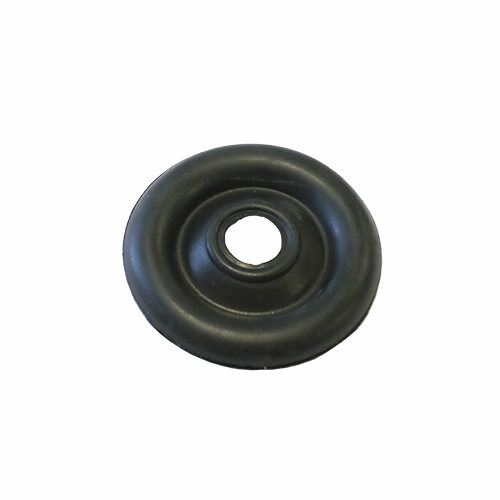 Standard coil for use on classic Minis manufactured 1984-on. 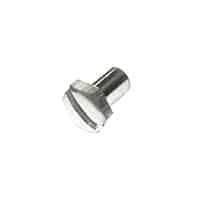 1.5 ohm resistance for use on ballasted cars. 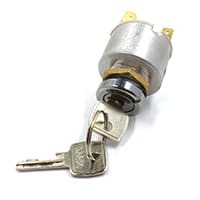 Mk1 Minis came originally with this coil that used a screw-on connection for the ignition lead. 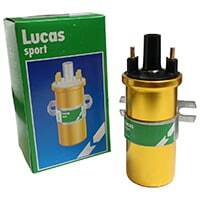 This is the one to use when restoring your car to original. 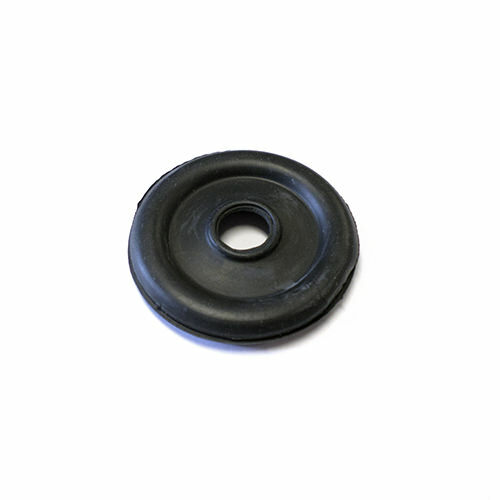 OEM-quality standard DLB101 replacement coil, suitable for classic Minis up to 1984. 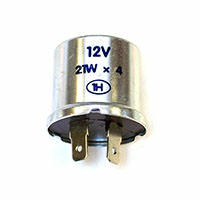 3 OHM internal resistance. 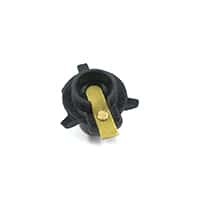 This Sports Coil delivers 20,000 volts with 3 OHM resistance. 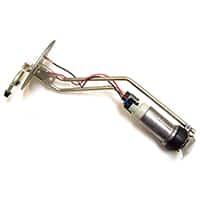 Recommended for high-performance classic Minis 1959-1983 with Pertronix or points-type ignition. 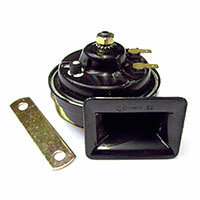 Ignition rotor for early, 25D4 distributor as used up until 1974. 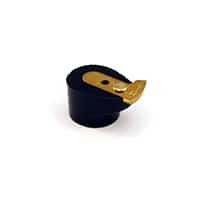 Fits either side-exit or top-exit cap, mechanical or vacuum advance. 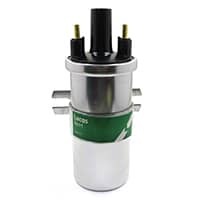 Ignition rotor for the 45D4 distributor, typically used from 1974 until A-Plus. 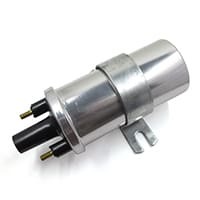 This can be found in earlier motors, too. 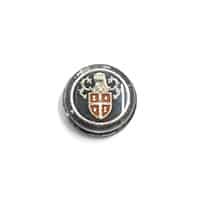 Ignition rotor button for the French-made Ducellier distributor. 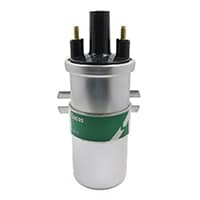 Rotor for 59D electronic ignition distributor,including some A+ Metro and single-point injection (SPi) Mini. 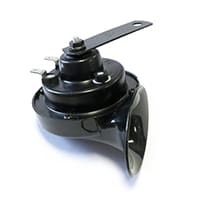 Dashboard-mounted ignition switch with off-on-start positions for most classic Mini Mk1, Mk2, and Mk3 models. Reproduction. 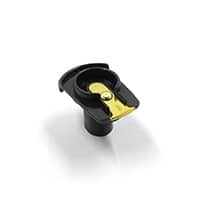 Steering-column mount ignition switch, with column-locking mechanism, including keys. Fits English Minis from 1976 through 1996 Single Point Injection (SPi). Reproduction.